It's difficult watching our faithful companians grow old and slow down, that's why the hip and joint support formula was created. 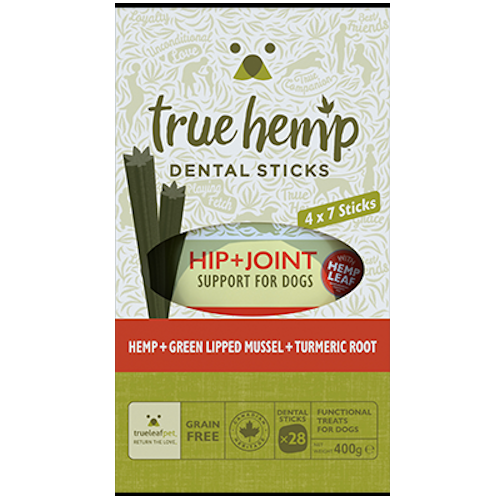 It incorporates special ingredients in a dental stick format to help keep their teeth clean whilst supporting joint function and the body's normal response to inflammation. 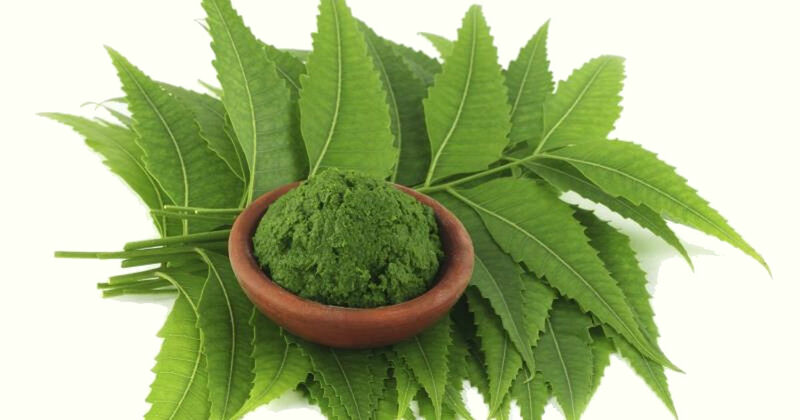 Hemp leaf and ground hemp seed containing omega 3 fatty acids. Green lipped mussel from New Zealand, known to support hip and joint function. Turmeric root, a powerful antioxidant to help protect against free radical damage. Contains 7 sticks per bag or four 7 stick bags in mutlipack. Please consider quantity of main food when treats are given. 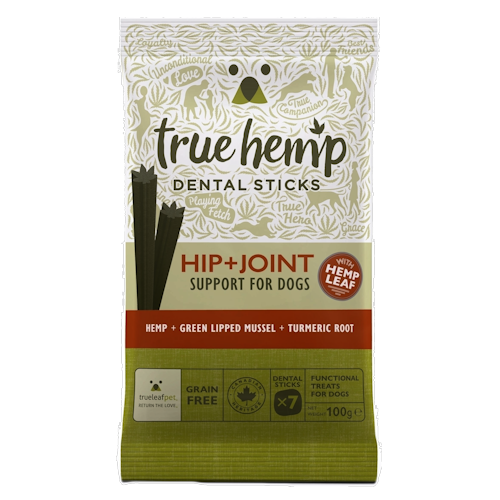 We tried these treats for one of my Chihuahuas who has joint problems. He doesnt do well on the veterinary joint care products so thought we'd try this, and WOW!!! He had one of the True Hemp joint care treats before bed, and the next morning he was bouncing about like a puppy again! His coat is shinier too, which is an unexpected bonus. If your dog has any joint issues I really recommend trying them - Its been fantastic for my boy! 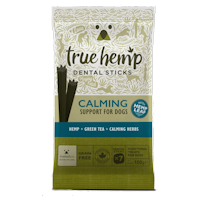 True Hemp Dental Sticks calming support for dogs. 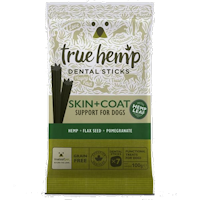 True Hemp Skin & Coat support dental sticks for dogs.